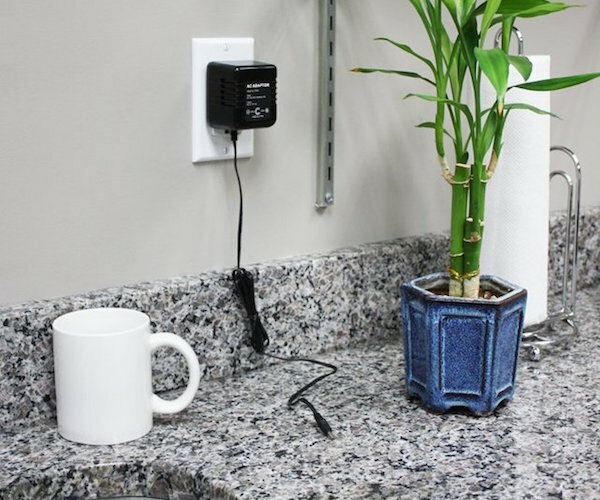 Surveillance On the Sly: AC Adaptor Hidden Camera | OhGizmo! People often show their true colors when there’s no one else in the room. If you’re suspicious or feel that someone’s up to no good in your home or office, then you might want to set up a hidden camera within the vicinity. Clocks and plush toys stuffed with a hidden camera or a mic on the inside are pretty common– but a camera disguised as an AC adaptor? Not so. To get it up and running, just pop in an SD card and plug it into an AC outlet. When it detects motion, the camera will automatically start recording. You can use an SD card up to 16 GB capacity, which should be more than enough to record 16 hours of video on average. The AC Adaptor Hidden Camera is available online for $200.